The Sports Portal allows team administrators to export and print a PDF of the entire competition fixture for distribution to teams. This allows teams to have a hard copy of the fixture, though the online version should always be referred to in case of late changes to the schedule. 3. Click EXPORT PDF above the fixtures to download the PDF and print from your computer. Please Note: This will print the whole fixture for the competition or division. 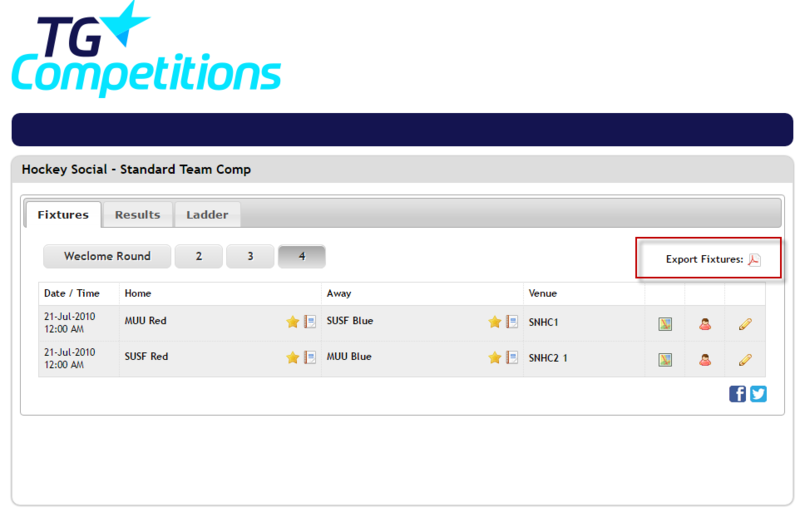 To view an individual teams schedule, click on the display team schedule icon.